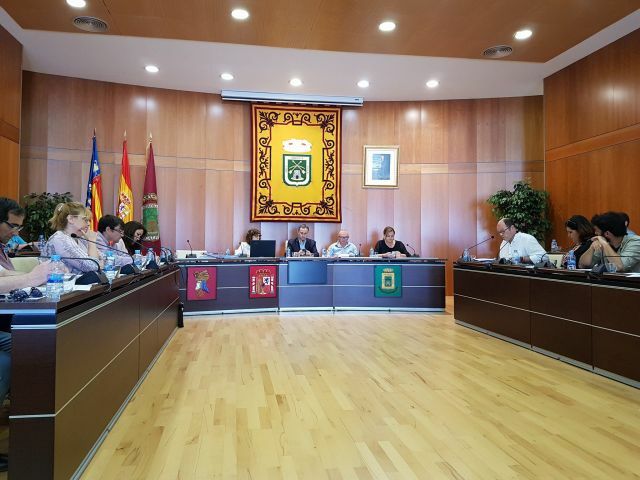 The Plenary Meeting of the Town Council of Calp has initially approved the modification of the municipal circulation by-law with the regulation of the parking of time limitation. From now on, a period of public exposure of 30 days is opened in which any person or entity can make the allegations he may consider appropriate. Likewise, the plenary meeting has approved the inclusion of the works in the J Road in the Works and Services Plan of the Provincial Council for 2019, with the intention of completing section 6 of this road, which runs from the Tennis Club roundabout to the roundabout of Pou Salat. These works will cost 1,624,000 Euros; the Provincial Council will provide 75% of the maximum limit of € 600,000. The municipal budget for this year consigned 599,857 Euros for the consolidation of the J Road, which will be named Felipe VI. This road will allow moving traffic from the beach area to the national road without passing through the Ejércitos Españoles and Diputación avenues, and therefore decongest traffic from the urban area, especially the school zone, and facilitate access to the town. Out of the Agenda, the councillor for education has requested to increase the subsidies to be able to grant the aids for teaching and transport for the 2017-18 course during this year. Just a month ago the aids for the 2016-17 were delivered, with a total amount of 105,000 Euros. These aids were late because of problems of duplication with aids from other administrations; therefore the municipal councillor now requests to update the granting of these subsidies.